The Philippines will no longer accept grants from the European Union, the EU delegation to Manila said Thursday, following repeated tirades from President Rodrigo Duterte over its criticism of his deadly drug war. 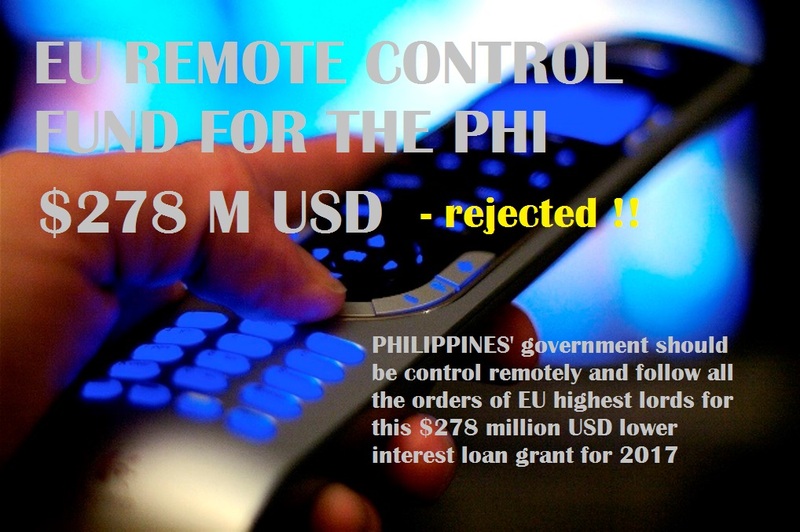 The decision will affect grants worth 250 million euros ($278 million), according to Franz Jessen, the EU's ambassador to Manila. Philippine government officials did not immediately comment, with the finance department saying a statement would be issued later on Thursday. In comments last year, he used vulgar language and raised his middle finger in a response to a European parliament statement expressing concern over the killings. The German government also expressed concern after Duterte last year drew parallels between his drug war and Nazi Germany leader Adolf Hitler's Holocaust. "Hitler massacred three million Jews. Now there are three million drug addicts (in the Philippines). I'd be happy to slaughter them," Duterte said, underestimating the number of people killed in the Holocaust. Police have reported killing about 2,700 people since Duterte took office at the end of June and immediately launched his war on drugs. Unknown assailants have killed more than 1,800 others, while about 5,700 other violent deaths are under investigation, according to police data. Partly in response to American criticism of the drug war, Duterte has also loosened the Philippines' ties with traditional ally the United States. He has instead embraced China, which has supported his drug war and sought to deepen economic ties by providing billions of dollars worth of investments and aid to the Philippines. Duterte, a self-described socialist, has also forged warmer relations with Russia, and will travel to Moscow next week to meet President Vladimir Putin.